Shadi.com was founded in 1995 with a goal to create happy and fulfilling relationships. Our passion is to help you connect with a special person. Shadi.com is a registered trademarked matchmaking and matrimony site in U.S.A. The correct spelling for marriage and wedding is SHADI in the Indian sub-continent. We want to provide you with a safe and secure platform to find your life partner. Millions have used our matrimony services. It`s true, love is the greatest feeling in the world whether you are single or getting married for the second time. 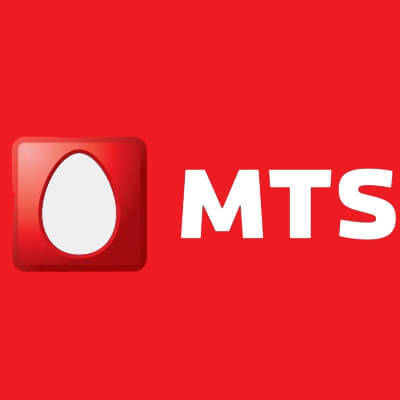 Mobile TeleSystems OJSC ("MTS") is the leading telecommunications group in Russia and the CIS, offering mobile and fixed voice, broadband, pay TV as well as content and entertainment services in one of the world`s fastest growing regions. Including its subsidiaries, as of December 31, 2014 , the Group serviced over 100 million mobile subscribers in Russia, Ukraine, Armenia, Turkmenistan, Uzbekistan and Belarus, a region that boasts a total population of more than 230 million.